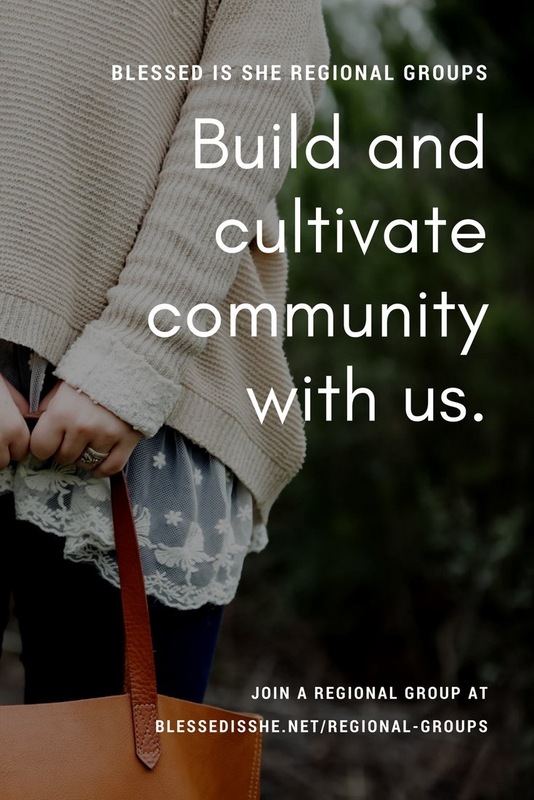 Molly said it so well in today’s devotion, so it’s hard to reiterate any more than what she said, other than to be able to share with you some of the testimonies that have come from women who have incredibly beautiful things to say about this ministry, this community, and their relationship with God. Now we want to hear what you have to say. Write up your own post, Instagram picture, Facebook post, tweet, whatever is your favorite method of social communication, about this community, what it is to you, and your thoughts on it, and link it up by clicking “Add your link” below. Let’s share our hearts with each other about Blessed is She. And now for something SUPER FUN. We have insanely talented writers and women in this community. They’ve come together to offer you the most beautiful and incredible prize package to one kind reader. I love the daily devotions. Congrats on one year anniversary! Thank you for your giveaway! My favorite part of BIS is definitely the well written, applicable daily devotions that challenge me to holiness every day! Favorite part of BIS…. so accessible! Perfect start to my morning. Check my email and read through the readings and the devotion before I even get out of bed. Thank you! 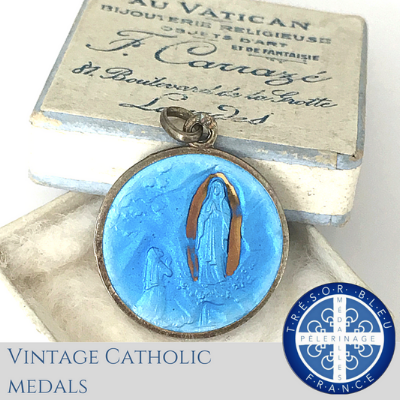 I love the devotions – I feel so much camaraderie and less alone in my journey as a Catholic woman. Deo gratias! I love BIS, the daily devotional a have been so helpful this past year Witt all of the changes going on in my life. It seems every time I was able to read them it was exactly what I needed at the time. I appreciate all of the women who help to make this possible. God Bless you all! Thank you so much for all you ladies do! I love the daily devotions and the community created here! I love the female perspective on the daily readings! There is something about hearing from other wives/mothers about what the readings mean in terms of our life experience that is so beautiful and speaks to me in a powerful way. And now I must tend to a screaming child. Thank you for sending the readings to my inbox, too – I didn’t read the daily readings before I subscribed to your devotions but now it’s part of my morning prayer time! Yes! Congratulations! 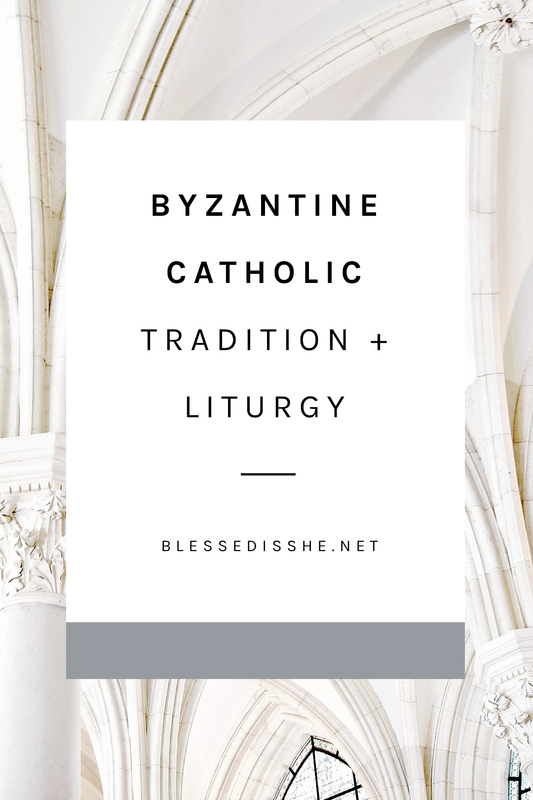 I am so glad I learned of this site (through the immensely talented Audrey Assad)… thank you all for your encouragement to live the Catholic life! I love Blessed Is She. It has brought so much encouragement and joy to my life. Thank you for all that you do. Thank you for this ministry. It’s beautiful to have so many women following the readings and coming together. I had been looking for daily devotions for Catholic women and didn’t find anything relevant to me as a young adult. Thank you, thank you, thank you!! My favorite part are the daily devotionals. Happy anniversary to one of the greatest blessings in my life. I honestly felt like I didn’t fit in with the various Catholic niches online but this is the one ministry in which — as a single, lay woman — I don’t feel excluded from. Yay! Happy 1 year! Thank you for this ministry! Well, I just recently found Blessed is She last week, but I am absolutely loving it so far! The devotions are just great 🙂 And I love the simple encouragement on Twitter, Facebook, and Instagram daily. Thanks for a wonderful ministry! Looking forward to reading for a long time to come!! I love the devotions, especially on days I don’t get to daily Mass. The beautiful community isn’t too shabby either 😉 God bless you, sisters! Thank you for the opportunity to win! Blessed is she has been such a constant source of encouragement for me; I try to read it every morning before my kids get up and I have to start my day! I like the daily devotions. Thanks for the giveaway! The daily devotions help me to go further in prayer. Also the wallpapers help me focus on Christ though out the day. The daily reflections are my favorite part of BIS. I also enjoy reading the Scripture readings for the Mass on that day – it makes me feel connected to the universal Church! I love that Blessed is She connects us to the Mass in such an attainable, relevant, and beautiful way. Thank you! Thank you ladies for everything! I recently joined the BIS community, and I love the pithy daily devotionals that show up in my e-mail inbox everyday-what a great way to contemplate the Word of God! I also love the community of women that BIS has introduced me to; I know that God continues to have amazing things planned for all of us in all of our interactions! Happy Solemnity! I’ve been getting the daily emails for a couple weeks now and have really enjoyed reading them in the mornings while feeding my 7 month old. You are all very talented writers. Thank you for your ministry! I love that with BIS at least one edifying thing will show up in my inbox/newsfeed. Happy anniversary. easy to read and so encouraging! I love the daily devotions and the phone wallpaper! BIS has fostered and allowed my spiritual life to grow and blossom. This past year I was praying about a very important decision in my life and I feel through scripture and the beautiful reflections, our good Lord spoke right to my heart and gave me the guidance and the words I needed to hear. Thank you to all the contributors that make BIS work. You have blessed so many of us and I pray you may receive all those blessings back a hundred fold! I also love the beautiful pictures and the last part of each reflection (the words that are bonded). Love reading the daily devotions! I have really enjoyed the daily devotions. I first learned about the site when Elizabeth Foss wrote a devotion. I love that the devotions are based on the daily readings. We have moved twice (once to a rental and recently to our new home) in the past year and these devotions have been just what I needed to keep me grounded, connected, and inspired. Thank you! 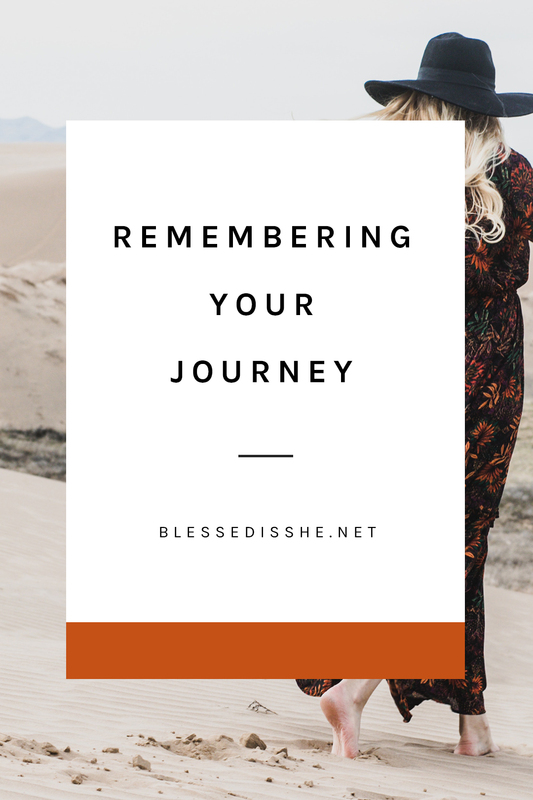 I’ve watched BIS grow from the beginning and it has been an absolute blessing to be part of a community of faithful woman seeking the same truths from all walks of life. To know you are part of a community is my favorite thing. I’ve been receiving the BIS devotions from the beginning, and I have to say, it only gets better! Thanks for all you do–I thank God for your ministry every day! My favorite part of BIS is the community! 🙂 By the way, just a head’s up – I think “In Endless Joy” = In Endless Song for Elise’s page. I’ve been receiving the daily devotions since the beginning and it couldn’t be more inspiring! Thank you so much:) Happy Anniversary! My favorite part of BIS is the Instagram daily challenges and community! I live in an area where it is hard to find/form relationships with other Catholic women. I love getting the daily emails with the readings and a Catholic female perspective. Reading these comments brings my heart so much JOY to read how God truly moves in the Blessed Is She community. I am beyond thankful for all you ladies, especially all the ladies who contribute daily to this ministry. My cup is filled each time I read a devotion or see a Holy Spirit filled post on a social media outlet. Its incredible how even in this time of vast technology, God’s kingdom is growing even within the virtual world. 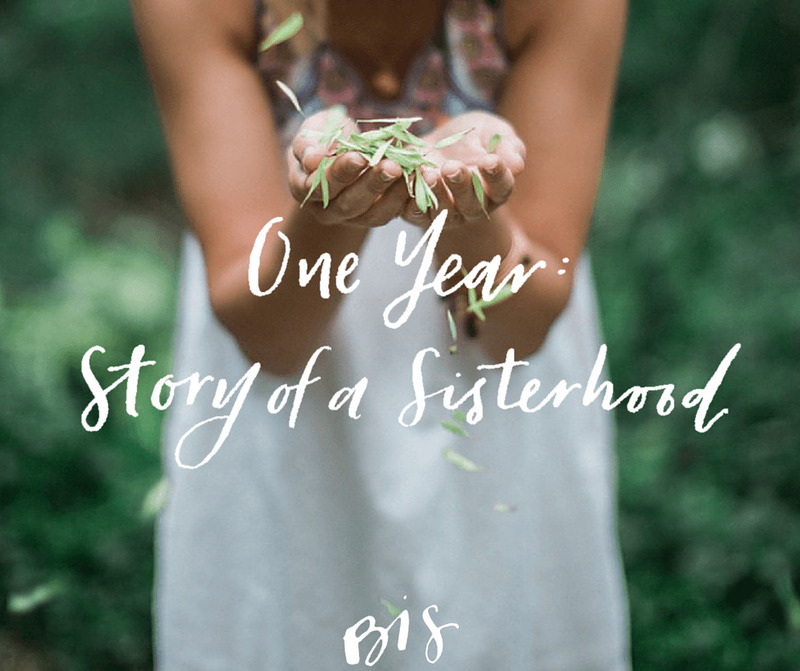 I had always struggled years ago to find a place that would help sharpen my faith with other Catholic women, and BIS has done so much to bring me peace in my heart that I have found a welcoming community that helps lead me closer to our Lord! 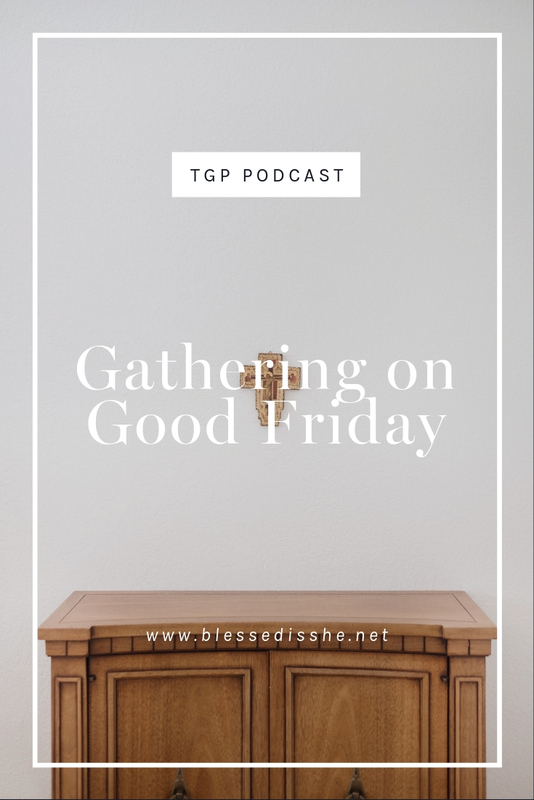 It encourages me to want to connect with other Catholic ladies not only virtually, but in person. To be brought together in God’s heavenly embrace to enjoy authentic fellowship. This past year with BIS has been incredible, and I am beyond excited to see how the Holy Spirit will continue to move for us all. Blessed is She has been the most perfectly timed blessing in my life! I got engaged at the end of August last year and was introduced to the daily devotions a few months later. I am getting married this Saturday (eeek!) and the daily devotions have been invaluable in keeping my prayer life strong during this busy busy wedding planning time. Being part of this community of wonderful women has inspired me to strive for holiness in my work, my family and my (almost) marriage. Thankyou to each one of you for all that you do. I love the daily devos. The journal. The Instagram community. The occasional BIS Twitter chat. I love the heart, the spirit, the courage of these women. I love Blessed Is She – and I know my vocation has been enriched because of it. Thank you so much for this year of wonderful community and devotion, helping me to grow in my (new) Catholic faith. God bless you as you enter year 2. 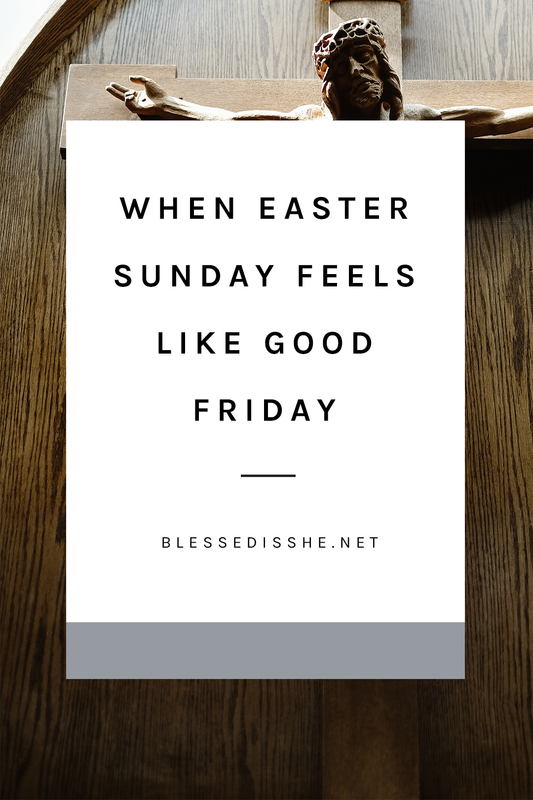 My favorite part of Blessed Is She is the encouragement I receive by seeing other faithful Catholic wives and mothers put their faith in action. 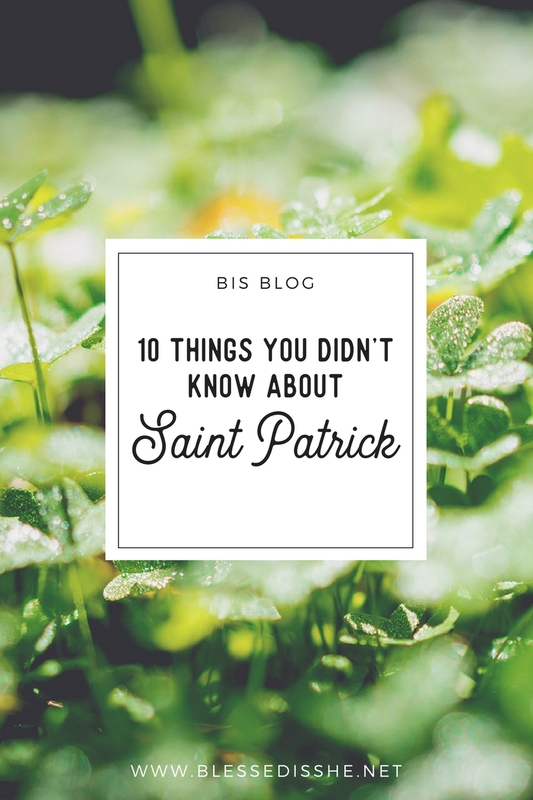 BIS has helped ease the transition from frantically learning about the Faith to practically living it out. I love the community present in the Regional Facebook groups! 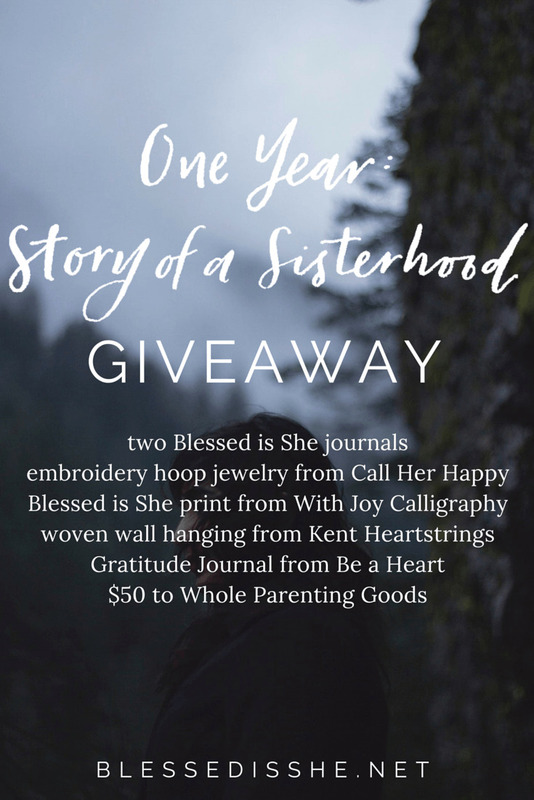 I am so grateful for the Blessed is She sisterhood, especially the daily devotions! They are such an inspiring and uplifting way to start each day at a secular workplace, and always recenter me to starting my day with the Lord. Thank you Jenna and the rest of the BiS team! Waking up to a reflection from BIS is a breath of fresh air in an otherwise polluted world. The sweet consolations of joining fellow sisters all around the world in praising God through his holy word is indescribable and irreplaceable. Thank you BIS and Happy Anniversary! I’m so grateful to have these devotions in my inbox every day. My favorite part is the community and fellowship. 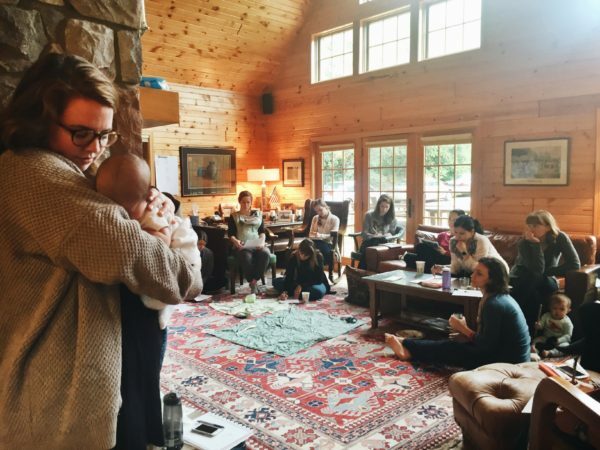 Even through a computer screen you can feel connected with women from across the country who all have the same goal in mind, living like Christ. I love having BIS in my Instagram feed and the #projectblessed hashtag. It’s a great combination of spiritual and physical beauty! I love that the daily emails help me to get a little bit of Scripture reading into each day–with a lovely, relatable reflection, too! I love your beautiful Instagram posts! BIS is such a great tool for the Lord to use! Countless times the Holy Spirit has spoken straight to my heart through the words and vulnerability of the writers. I love the beautiful Daily Devotions! I am honestly humbled to find myself in this radiating community, Dilled with love and passion for the Lord and living for Him!~ thank you for your constant reminder to make my time with the Lord more sacred than any other time. 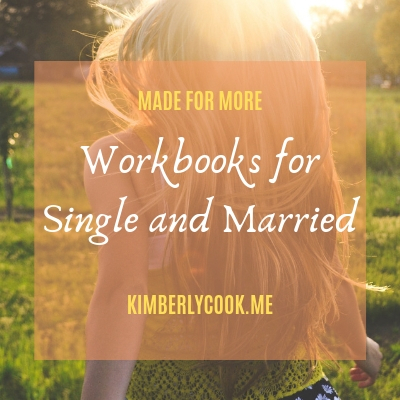 To spend time preparing and scheduling a ‘date night’ with Him. I am so moved to be in this sisterhood and to encourage one another and remind each other to meet with God at where we are at right now. To not hide anything, but to be a transparent child… Wanting to be cleansed and made like Jesus! Thank you for the effort you put in every day to make this happen! My favorite part about BIS is the uniqueness of everyone and the uniqueness of the posts!!! This is such a beautiful ministry! I am continually impressed by the community of women that is forming, based on faith and striving for holiness! And I love the daily devotions- they have really helped me to make prayer time a priority in my busy life as a young mom. I love the community and fellowship. BIS Devotions and weekly wallpapers are also amazing. I get encouraged daily to sit down and read His word bec of you, ladies!!! I love the feeling of community and the Insta pics 🙂 Congrats on one year! I love the daily devotions. They have impacted my daily spiritual life immensely! I look forward to hopefully connecting with other women in my area in the coming year as well. I love the devotionals to my email, but also the Instagram community is so fun and encouraging! Makes me love being on Instagram! Blessed Is She has connected me with so many inspiring women and gives a forum for discussion (in so many different ways!) for things that really matter. 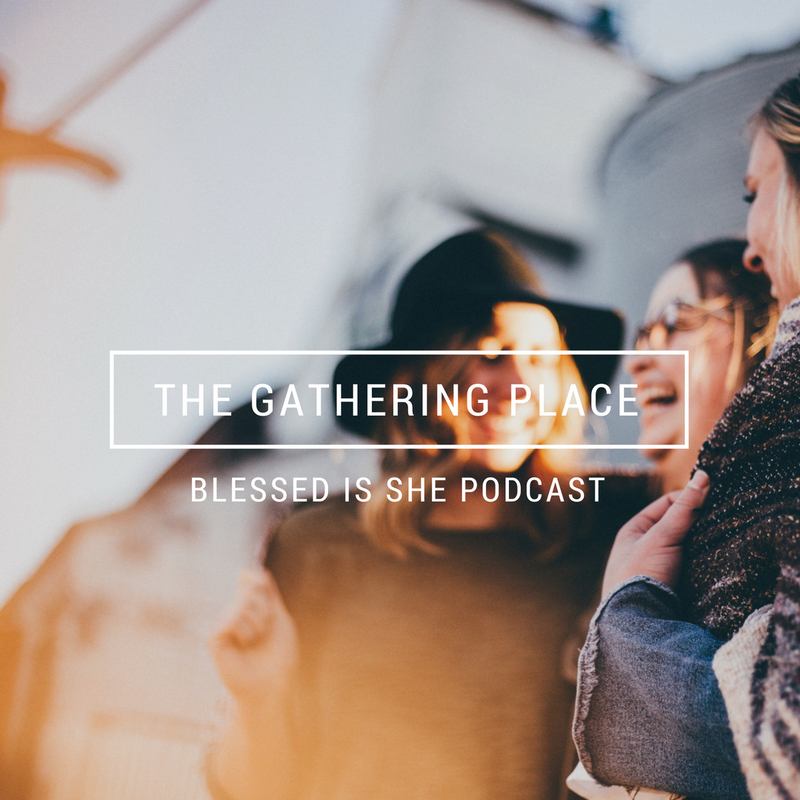 As a ministry, it helps women support one another through the ups and downs of life, and its focus is always on what will ultimately bring us fulfillment—God Himself. Thanks for all that you do! Thank you so much for your daily devotions! Congratulations on this milestone! My favorite part of BIS? Every morning I receive the daily Mass readings with an accompanying inspirational, sometimes challenging, daily devotion right in my email inbox. The timing of the emails is great – well before my prayer time! The quality and variety of the devotionals is superb. 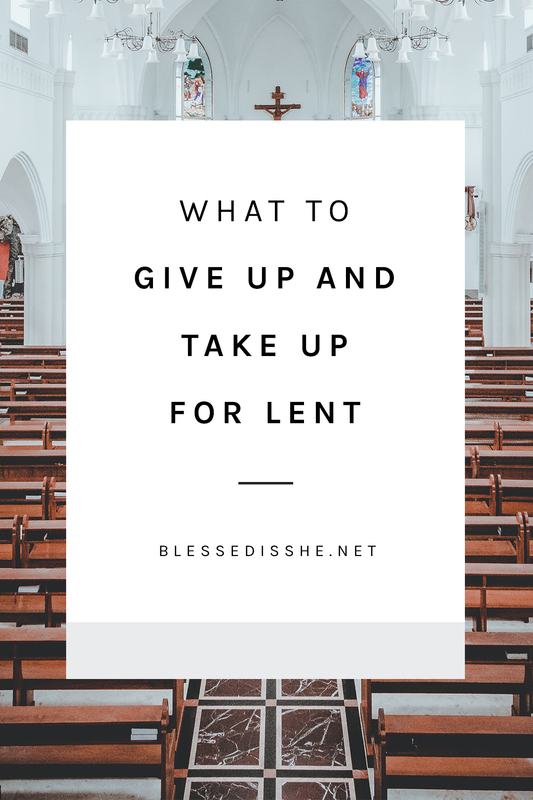 The inclusion of the Mass readings is helpful – it’s both a reminder for me to read the day’s readings, and it saves me from looking up the readings prior to reading the devotion. Thank you for contributing toward and continuing this blessed ministry! I love this community and I love the daily devotions. I read them in the wee early hours of the morning while breastfeeding my newborn and it gives me hope for the day! I love the daily devotionals. Many of them speak to my heart, and I think God is guiding me through them. My favorite part are the daily devotions. So many days they speak right to me. I also love the daily Project Blessed on Instagram.